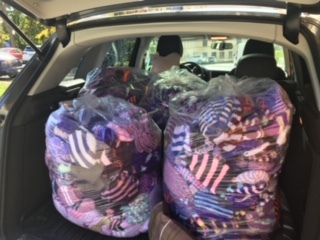 A HUGE thank-you to all the knitters, crocheters and volunteers who contributed to the CLICK for Babies BC campaign 2018. 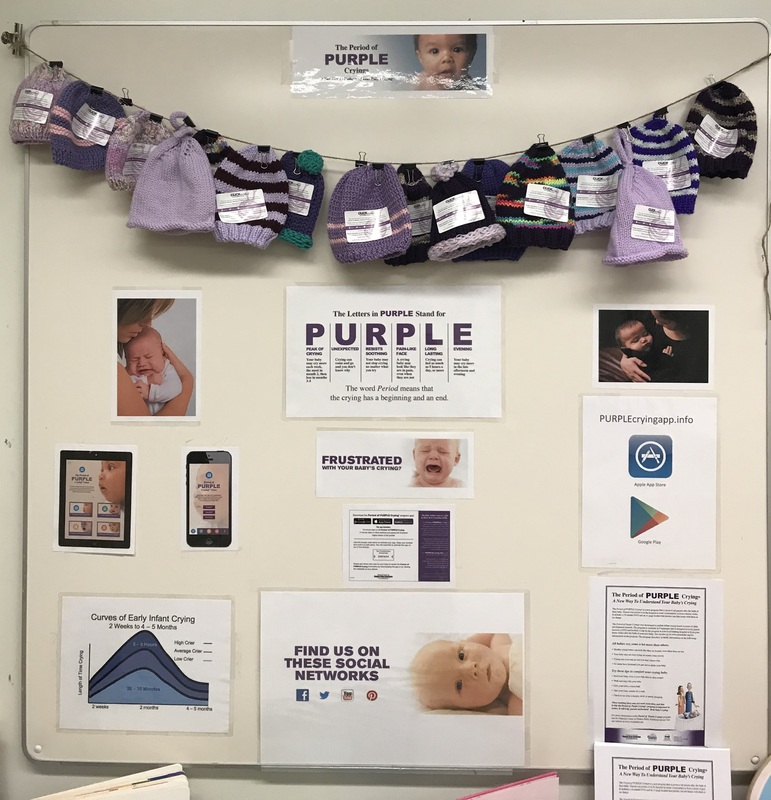 The CLICK for Babies campaign raises awareness about normal infant crying, how to cope with crying and the dangers of reacting to crying in frustration by shaking or harming an infant. 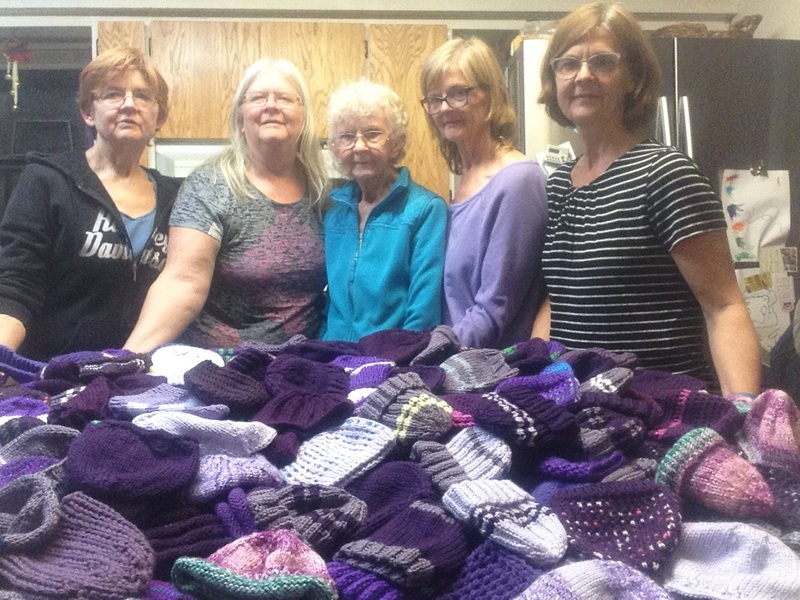 This year over 125 knitting groups, senior centres, retirement residences, community groups and individuals donated 9 493 newborn caps in every shade of purple. 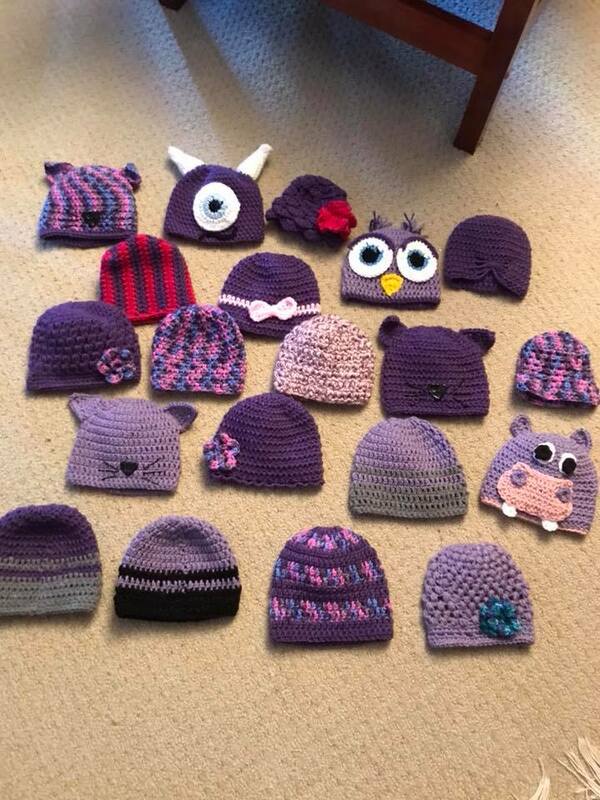 These caps will be distributed to parents of newborns across BC with Period of PURPLE Crying materials in every maternity hospital and health unit.